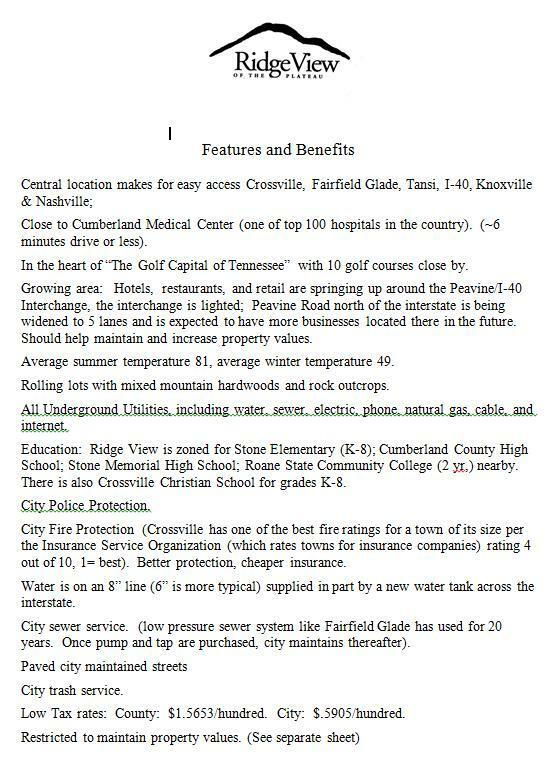 First Civil District, within the City of Crossville with City Police and City Fire protection. City sewer services, city trash services. All underground utilities including water, sewer, electric, phone, cable and natural gas. Central location close to town, hospital and shopping. Ten golf courses nearby. 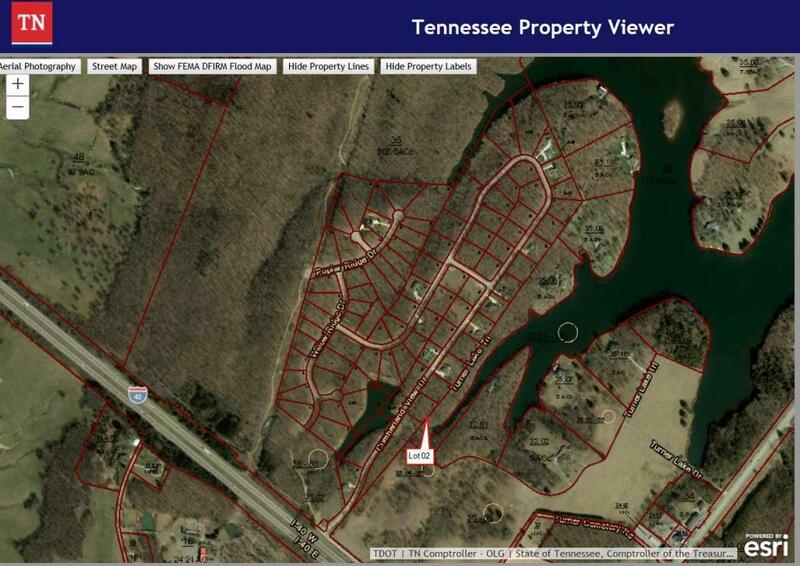 Stone Elementary School, Cumberland County High School and Roane State Community College nearby. Cumberland Medical Center, hospital, six miles away. Easy interstate access. Planning Commission approved. Some waterfront. Beautiful rolling lots with mountain hardwoods and rock outcroppings. Seasonal views of the sweeping Crab Orchard Mountains. Convenient to Interstate40 with access to Knoxville within an hour, Nashville within two hours and Chattanooga within an hour and ahalf. Seventy five percent of the eastern U.S. is within an eight hour drive. 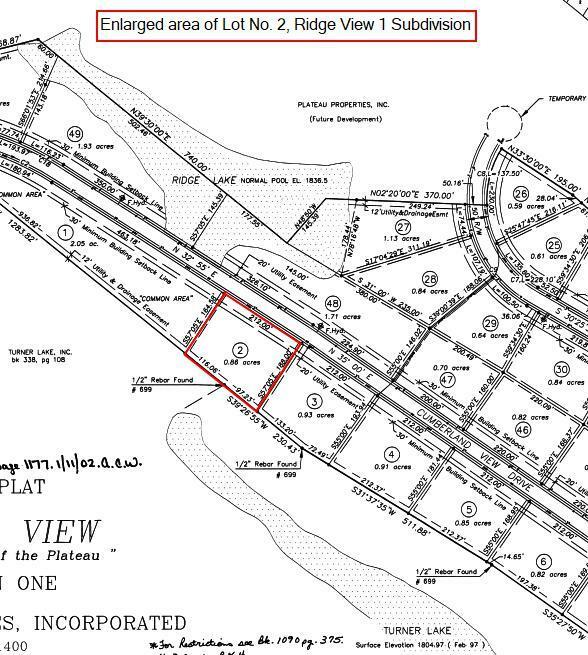 Lots 16,17,18 and 19 have Turner Lake access. Please refer to the recorded restrictions, item 31 for lake usage restrictions. 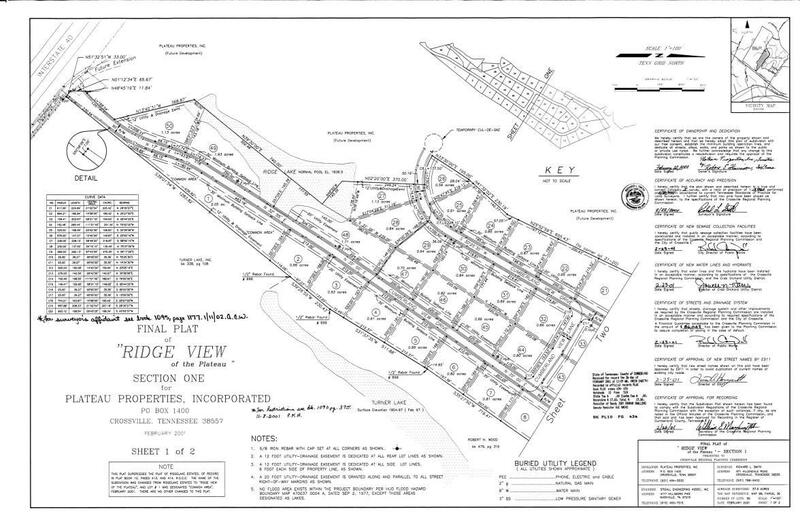 Lots 27,48,49 and 50 have Ridge Lake access. Please refer to the recorded restrictions, item 31 for lake usage restrictions.